The CSA IoT Working Group released guidance in October 2016 focused on providing IoT product developers with recommendations for securing their products. 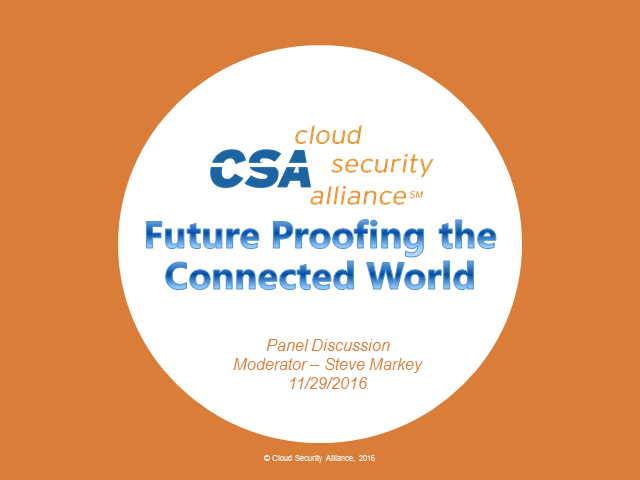 This panel discussion will explore different perspectives on how the guidance can best be used by organizations seeking to secure IoT products. We will also discuss how to prioritize your security engineering efforts based on schedule and funding constraints.